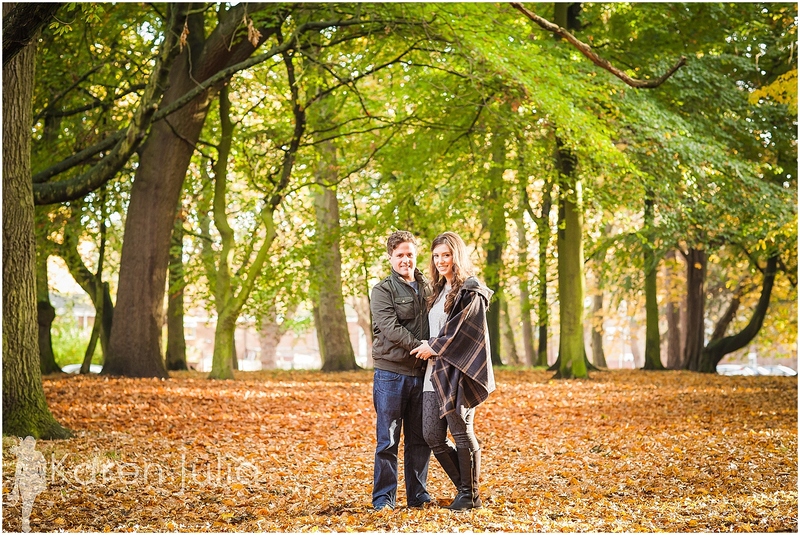 Local Park Autumn Engagement Shoot; Heather & Matthews pre-wedding couple shoot. Heather & Matthew get married at the Hard Day’s Night Hotel in April, so to contrast the city centre vibe of the wedding chose the leafy Sefton Park in Liverpool to have their practice couple shoot. It’s beautiful in Autumn, so we headed there on a bright crisp October afternoon to take advantage of the warm colours and low winter sun. Towards the end of the shoot, there were bright shafts of light coming through the trees behind them & it looked quite magical! Heather coordinated the shoot with her make-up trial which is an ace way of seeing how the make-up will look in photos. Heather has booked ace make-up artist Michelle Halewood, I love working with her, her work is always flawless! Would You Like Pre-Wedding Photos in Your Local Park? If you’d like engagement photos in a local park in Glasgow or surrounding areas, there are a few things to consider. Most Glasgow parks require a permit. This should be arranged prior to booking your shoot date. The time of day will be important too, so let’s chat sunset times and when to book for the best light. We can talk ideas on the phone or via video chat in advance. 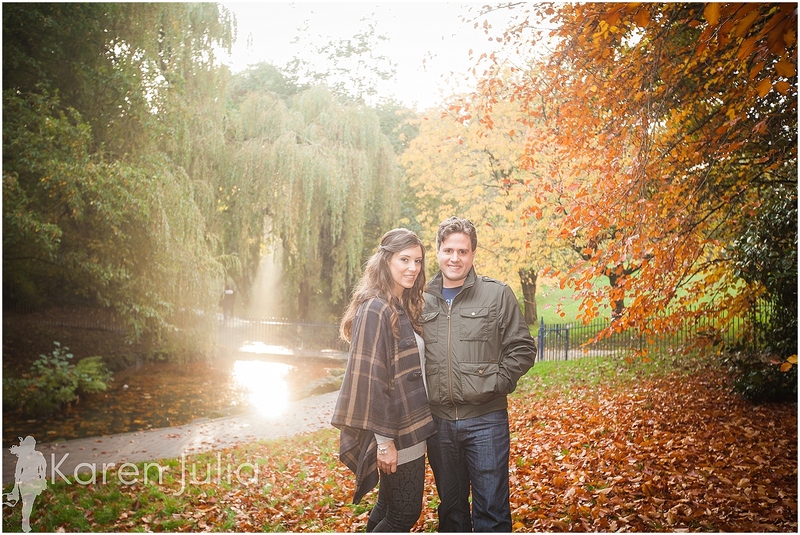 The best time to have your pre-wedding shoot in your local park is around 2-3 hours before sunset.